The trial of the colonel of the Military Police of Pará who commanded the massacre of Eldorado de Carajás, Mário Pantoja de Oliveira, has been postponed once again. Dear Friends of the MST, As we conveyed in the most recent MST Informa, many NGOs and social movements in Brazil are against government's plan to redirect water from the São Francisco river. An aggressive attack is being waged against MST landless peasants in the northern state of Pará, Brazil. 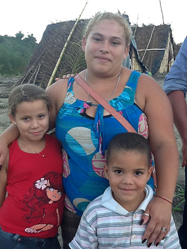 Dear Friends and Supporters of the MST: We received the following urgent request from the MST's Human Rights Sector asking supporters throughout the world to contact the Governor of Paraná to begin an investigation into the murder of a landless family, lending their support to a land occupation. Below is the request. We've included documents and sample email letters. Please take the time to write the governor. Under the Brazilian Constitution, landless families have the right to occupy arable land that is not being used in order to grow food to feed themselves. Representatives of the State Secretariat for Human Rights, the State Program for the Protection of Human Rights Defenders and the Ombudsman of the Department of Social Defense visited, on Tuesday (July 3, 2012), the Gregório Bezerra encampment in the city of Altinho, rural Pernambuco (PE). The visit had as its main objective to present the results of several investigations open to punish acts of violence. The camp has been the scene of systematic violence by gunmen hired by landowners of the farm Serro Azul, owned by Luis Reis, since April last year. Since the beginning of this year, the landowner has become even more violent and verbal threats and intimidation came to blows. On March 22, Reiss beat Eraldo Alves da Silva, known as Seu Antonio, a landless workers in the encampment, while he was kept under the barrel of a gun, accompanied by two gunmen. On behalf of my brothers and sisters of the Landless Workers Movement (MST) in Brazil, I salute you. I write to tell you about the grave threats we are facing here in Pernambuco, Brazil, and ask for your help.